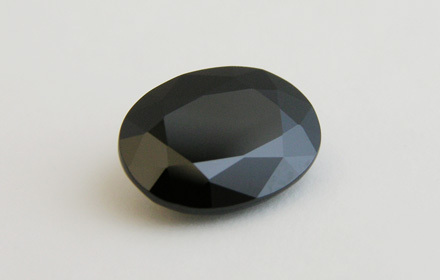 Weight: 1.79 ct; size: 9.11 | 7.14 | 3.10 mm; shape: oval; colour: black; clarity: opaque; cut: fair; treatment: none. Clean, opaque specimen; mixed style cut. 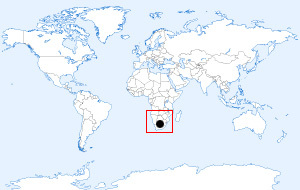 From the Greek word μελανός (melanos), ‘black’. A black Ti-bearing variety of andradite garnet.